The region around St. Cloud holds some of the fastest growing communities in Minnesota. 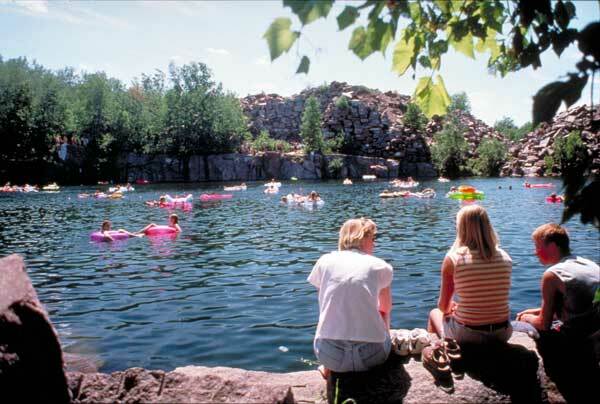 At the edge of this sprawling region, Quarry Park and Nature Preserve offers rich history, diverse resources, and a variety of recreational activities, including SCUBA diving, rock climbing, cross-country skiing, and trout fishing. Additions to the park have been designated as a Scientific Natural Area due to rare wildlife habitat. Working in partnership with Stearns County and the Minnesota Department of Natural Resources, The Trust for Public Land has helped add more than 300 acres in five separate transactions to the Preserve.